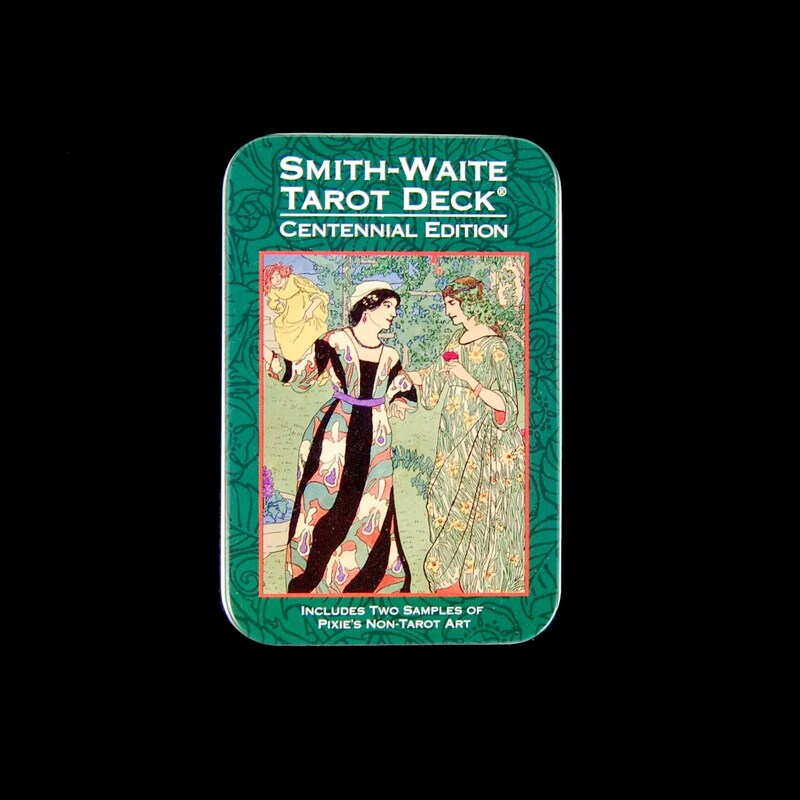 The Smith-Waite Centennial Tarot Deck in a tin is a faithful reproduction of the original deck by Pamela Colman Smith in 1909 under the direction of Arthur E Waite. 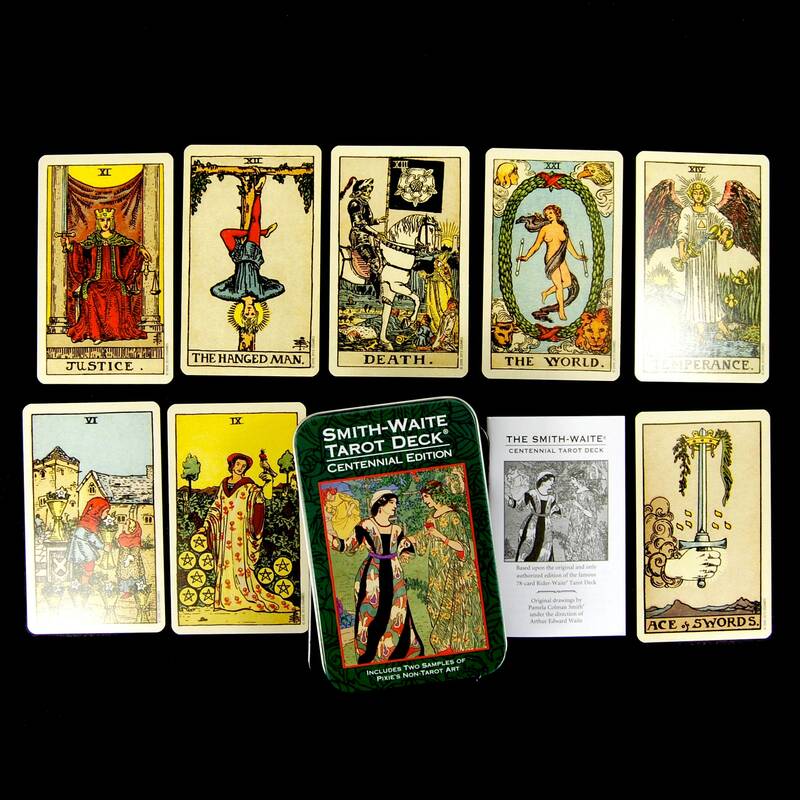 This classic tarot deck features full pictorial scenes in the muted colors chosen by "Pixie" herself. 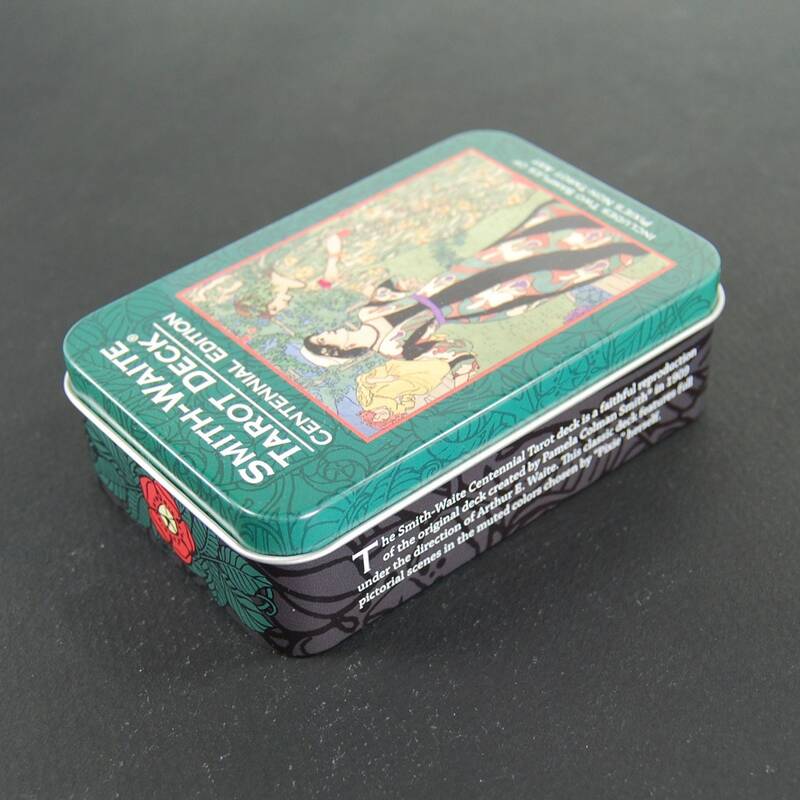 The deck was first issued in 2009 by U.S. Games Systems as part of the Panel Colman Smith Commemorative Set. The 80-card deck included the standard 78 tarot cards plus 2 samples of Pixie's non-tarot artwork. Cards in this pocket sized deck measure 2.25" by 3.75"